I have been patronising this stall quite regularly ever since there is a new bus service to travel from Ang Mo Kio to Yishun. I am such a regular until a particular auntie is able to recognize me and often, she will freshly made those prawn fritters for me, the only item that I have been ordering. Each prawn fritter is reasonably priced at 0.90 cents. 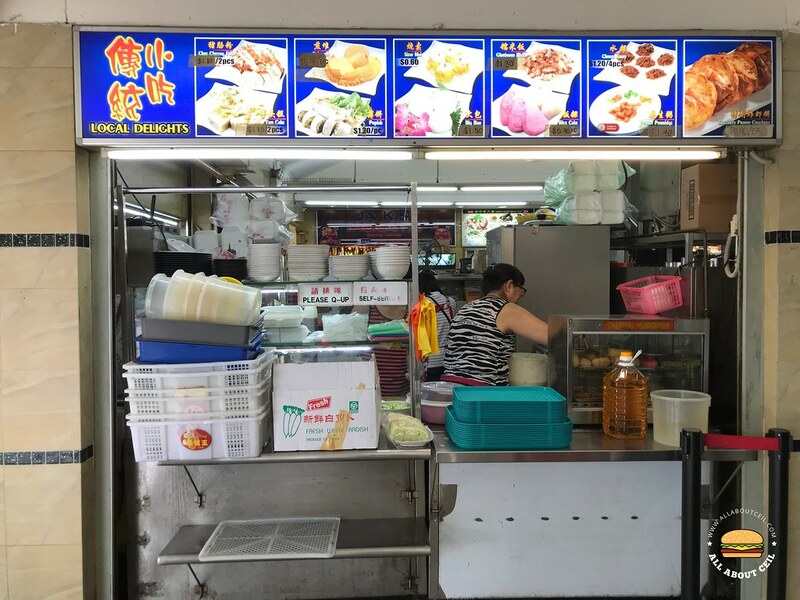 There are other snacks like the fried yam cake, glutinous rice cake, dumpling, chee cheong fun and even chwee kway available, too. If you are there for prawn fritter, please go before 3 pm as it will usually be sold out by then or earlier. This stall has been in this coffee shop for the longest time. My first visit was about 5 years ago and they happened to open a stall in Ang Mo Kio shortly after that but it was only there for about a year or so. I happened to meet the lady boss once and we talked about it. She said the reason for closing down was the unreasonably raise in the rental. 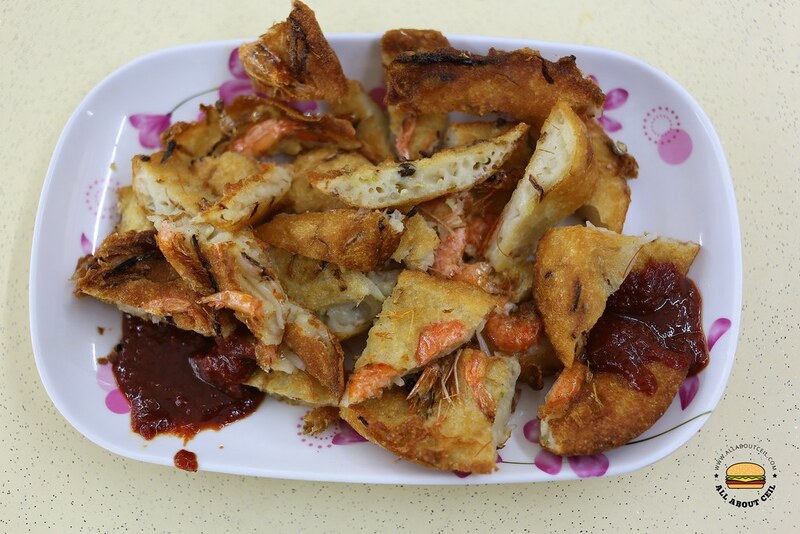 Prawn fritter is not as commonly available as before though you could still find them at those stalls serving traditional snacks or at the Ngor Hiang Guan Qiang stalls, but most of these are pre-made. This one is better, it is made in batches to ensure its crispiness, it has also added bean sprouts for a softer texture and not as thick. When you ordered to have it there, the auntie will cut it into smaller pieces and served it on the plate with the chili by the side. I was told there is another outlet in another part of Yishun, somewhere in Khatib and not too far from the MRT station.